The diffusion index for General Business Conditions at 20.1 was an increase of 4.3 from the previous month’s 15.8. The Investing.com forecast was for a reading of 15.1. 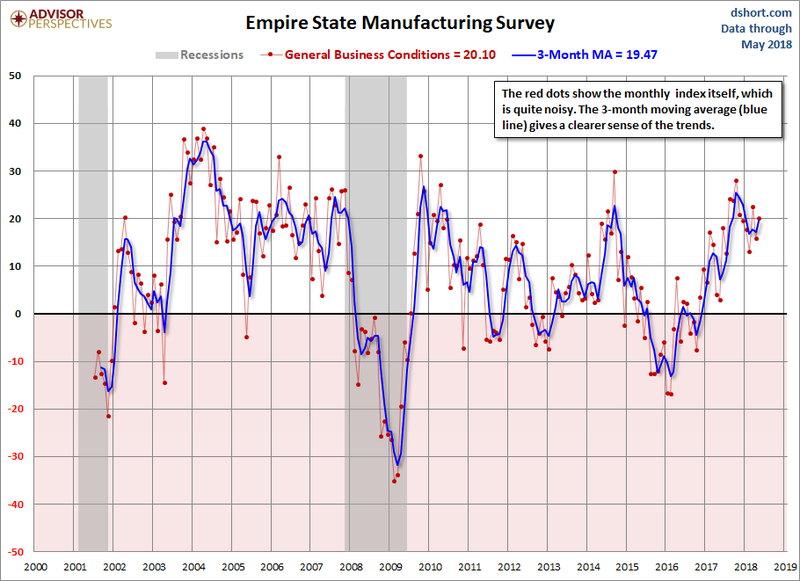 Since this survey only goes back to July of 2001, we only have one complete business cycle with which to evaluate its usefulness as an indicator for the broader economy. Following the Great Recession, the index has slipped into contraction multiple times, as the general trend slowed. 2015 saw a gradual decline that picked up in 2016 and 2017. Let’s compare all five Regional Manufacturing indicators. Here is a three-month moving average overlay of each since 2001 (for those with data). 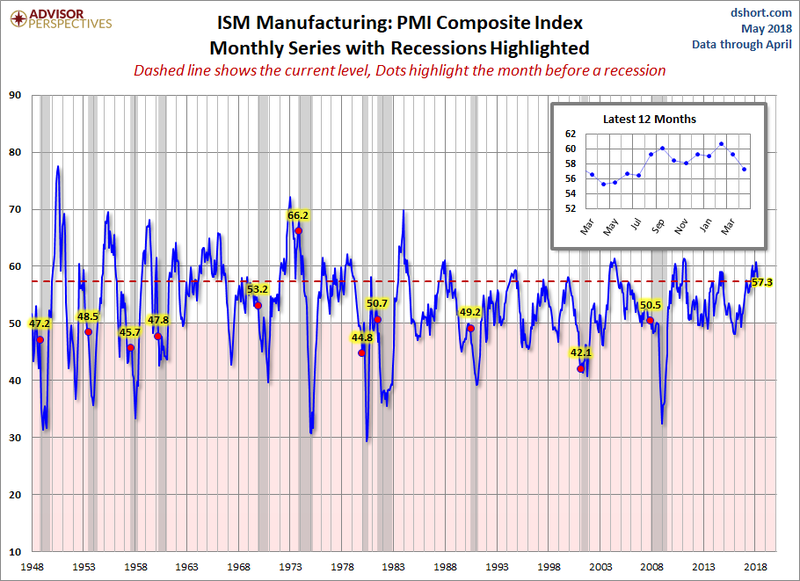 Let’s keep a close eye on some of the regional manufacturing indicators in the months ahead.